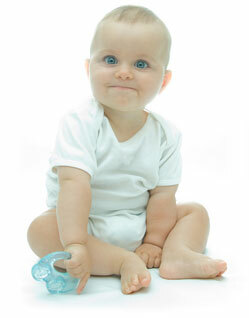 How does osteopathy help babies and children? It is a common belief that babies and children should have no structural stresses or strains in their bodies because they are so young and their bodies are soft and supple. Paediatric osteopathy focuses on reducing restrictions, releasing strains and encouraging movement within the cranium or within the body framework. How does it work for babies & Infants? Osteopaths’ understanding is that the stresses on the cranium from birth, even during a normal delivery can contribute or cause problems later in life. Treating a baby particularly after a difficult birth can re-balances their system. And we usually find – the earlier the better. Then, as your child grows osteopath treatments are also recommended for children with common childhood illnesses such as asthma, recurring infections, fretfulness, growing aches and pains and other ailments. Today, osteopathy is regularly used and recommended by Doctors and other practitioners to improve a baby’s health, particularly to settle them as a newborn. Alexander is very experienced in treating babies, toddlers and children and is currently enrolled in a four year part-time diploma in Pediatric Osteopathy. He is also passionate about treating children with learning and developmental difficulties.